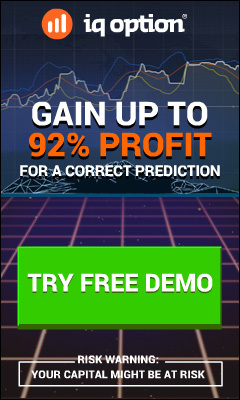 HotForex Bonus is one of the most prominent reasons as to why this particular merchant is so popular among the traders. The money is good and works as an added incentive for the aspiring traders to register online and make good money in return. The overall terms and other rules that govern the bonus amount are not very strict. The broker is known for its transparency and the bonus is applied on all types of trading accounts. Unlike any other merchants that requires to meet trading volumes before the bonus money can be withdrawn, there is no such binding with HotForex. You just need to contact the customer executive and the bonus amount will be credited to the trading account in 24 hours. SuperCharged Bonus: It is a two tier scheme where individual traders have the opportunity to increase their account leverage and earn generous money in return. You can earn a whopping amount up to $50,000. You can earn daily cash rebates $2 per trade lot. The minimum trade deposit should be $250. Rescue Bonus: If you are someone who wants to protect your trading account from periods of unwanted breakdown, then this is the ideal bonus plan you can opt for. It is applicable on all deposits more than $50 and you can earn maximum bonus up to 30% or $7000. You can even qualify for additional “Stop Out Bonus” for qualifying accounts. Credit Bonus: As a registered trader, you get to earn 100% bonus which can be used to increase the trade volumes. The money can only be withdrawn if the trade requirements are met. You will be getting a stipulated time to complete the volume requirements. HotForex Bonus is ideal for those types of customers who are hesitant in their approach to start a career in Forex trading. The money is extremely good and can go a long way in motivating one and instils enough confidence to execute successful trades over the period of time. The biggest benefit is that one gets to enjoy the bonus amount by investing a nominal amount which is just $250 for account setup and registration. You are encouraged to open a live account with the merchant to access the aforementioned bonus features. If you still have some doubts in your mind, you are encouraged to read our comprehensive HotForex Broker Review to know more about the broker. I don’t agree with your statement here. Good or bad broker, they have to compete with well known brokers and that can be hard. The brokers has to offer something extra to take market shares and I don’t think that is wrong. Its also up to the client to accept or decline the bonus program. Thanks a lot for your contribution to our post.